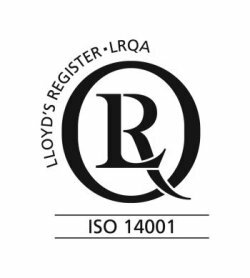 WEST CONSHOHOCKEN, PA USA - (January 28, 2014) – Victrex, the high performance polymer solutions provider, is now certified according to ISO 14001:2004 for its environmental management system at its British manufacturing site. The certificate issued by the certification body, Lloyd’s Register Quality Assurance, covers the manufacture of VICTREX® PAEK compounded pellets consisting of polymers and fillers from the production of pellets to dispatch. Victrex Polymer Solutions, a division of Victrex plc, is the world’s leading manufacturer of high performance polyaryletherketones such as VICTREX® PEEK polymer, VICOTE® Coatings, APTIV® film and VICTREX Pipes™. These materials are used in a variety of markets and offer an exceptional combination of properties to help OEMs, designers and processors reach new levels of cost savings, quality, and performance. For more information visit: www.victrex.com.